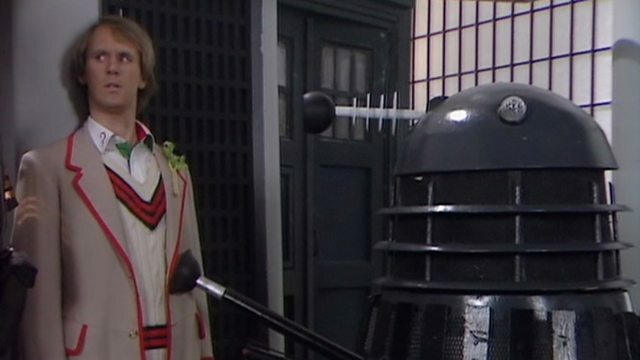 Dialogue, Sawardese and Resurrection of the Daleks (1984) | Randomwhoness: a Doctor Who blog by Johnny Spandrell. Sampling stories in random order. I did quite like “I would sooner accept your money” as it shows Davros awkwardly trying to make a drollery and instead just coming off as…well, Davros. The forced, polite laughter that fades away along with the hologram was great.